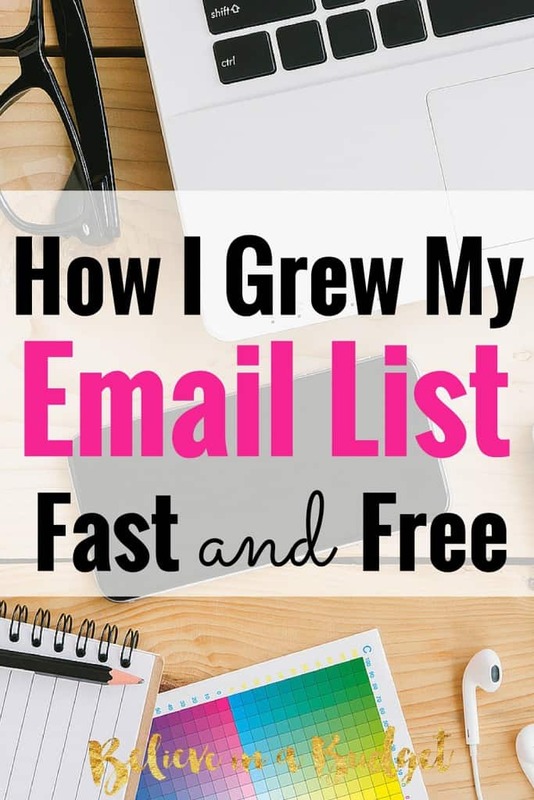 When I first started blogging, everyone said to work on an email list. I really didn't understand the value in this. 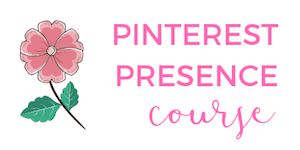 I was a new blogger; why would someone want to sign up? I didn't have any products to sell or any services to offer. What was the point? It turns out, at some point you will have something to share with your audience. It could be one month after you start blogging or it could be a year after you start blogging. Regardless of how long it takes you to do this, you should start working on your email list from the very beginning. This way when you are ready to share something with your readers, you will already have an email list. When I decided to work on my email list, I knew sharing something with my readers would be a great way to get subscribers. 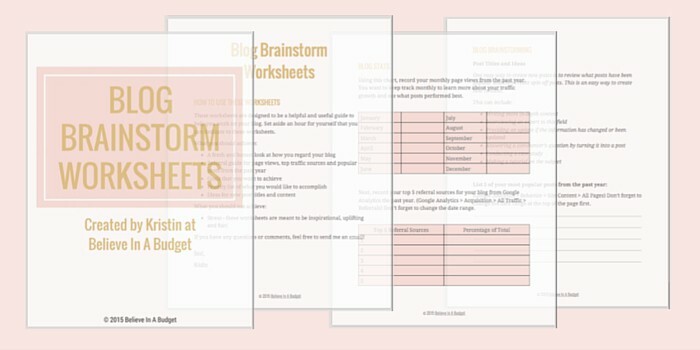 One of the best freebies I offer is the Blog Brainstorm Worksheets, which is available in a couple of blog posts but also as my pop-up form on this site. Having a pop-up form has helped me grow my email list tremendously. While I waited way too long to start an email list, I managed to amass over 2,000 subscribers in a 4 month period by offering this and other freebies to my readers! My readers can not only get my freebie I am offering, but are now in the loop every time I have something important to share in my newsletter. My subscribers get even more value in my newsletters than on my website. When I released my book, I offered my readers a discount that was not available on my site! It's also easier than you think to create one! I am going to share exactly how to create a pop-up box with a tutorial, so you can make one for your blog! After you've installed the plugin, you will have your own little blue vertical bar in your website like this! Click on it, select Sumo Store and add List Builder. Now, SumoMe has a lot of other awesome features like share buttons and contact forms, but today we are just going to cover the pop-up form! Click on the blue bar so it expands and then click on the crown. This will make this box pop up. Select List builder. We are now going to design what your custom pop-up box should look like! The default template is already selected for you. If you would like to select a different template, you can but need to upgrade to a paid account. Using the box underneath Heading, list your freebie product. Keep it to a phrase or sentence. You have the option of writing in the Text box, but I leave this blank as the Heading option is bigger and stands out better. Select your font and font color. Keep scrolling down in the grey box. Customize the Button background color, font and text. 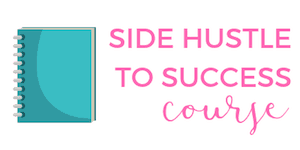 The Success Heading just refers to what readers will see after they subscribe. I kept it simple and wrote “Success” but if you are clever, write something witty. Click Save at the bottom right of the screen. In this section, you are basically telling your popup what to do on your website. Under Mode, select Manual so you can decide how much time you would like to pass before the popup actually “pops up” on your site. I get annoyed when I visit someone's site and the pop-up is immediate (I'm not always ready to commit that fast! ), so I set mine to 45 seconds. Set the frequency for how often you want your readers to the see the pop-up. If you have the same reader visiting your site daily, decide if you want your readers to see this daily or weekly. Under the After option, use the Success Redirect URL to decide what should happen after your reader signs up for your freebie. I simply redirect them to the freebie link of my website where they can access the file immediately. You have the option to leave this blank. Some bloggers prefer their readers to check their email after they have subscribed, and provide instructions or the next step. This method is entirely up to you! I change this depending on the product I am promoting, but I like being able to give my readers something immediately. On the left side of the screen, scroll down and click on Services. Nearly every newsletter carrier is on this list. Don't forget to scroll down until you find yours! I use ConvertKit, which shows I already have it installed and connected. Connecting your accounts is really easy! Make sure you are logged into your provider's account first, and then click on your selection. Many times this is automatic and should only take a minute. You've successfully created a pop-up box on your website thanks to SumoMe. You can now share a freebie with your readers when they sign up for your newsletter. 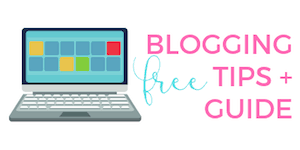 Freebies are a great tool for bloggers to share. What kind of freebies do you like to create? As a reader, what kinds of freebies do you like? Thanks for your nice article on “How I Grew My Email List Fast With a Freebie”. I hope from your guideline users will be benefited to grow email list for their business.